The 2016 Silver Buffalo Award class includes 13 Scouting volunteers whose contributions are deserving of the highest recognition the BSA can give adults. When a Scout sells a box or tin of Camp Masters popcorn, he’s selling more than just a tasty treat. He’s selling the life-changing Scouting program. An Eagle Scout who built an elementary school playground and another who wants to be an astrophysicist are the recipients of major scholarships from NESA. The BSA today elected Randall Stephenson, the AT&T chairman and CEO, as its 36th national president. He takes the helm from Dr. Robert M. Gates. 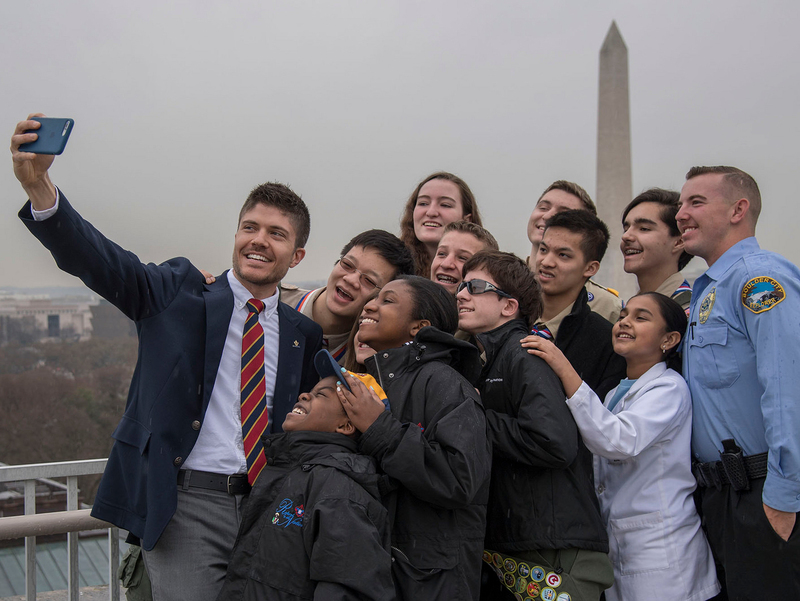 Dr. Robert M. Gates reminded the nation that America needs Scouting and offered three priority areas for the continued success of our movement. During some times of immense change for the Boy Scouts of America, National Commissioner Tico Perez has helped lead the way. Glenn A. Adams will step aside as National Eagle Scout Association president at the BSA’s annual meeting this week, but his legacy will live on. A documentary on the National Geographic Channel highlights Gerald R. Ford, the man who is (at least so far) the only Eagle Scout to become U.S. president.